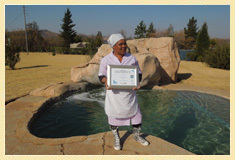 All units are designed for two adults sharing and have open Log Fireplaces, Braai area Thatch Lapa and covered parking. Large flat screen TV with DSTV (Commercial channels). Three splash pools shared among all cottages. Cottage 4 Hornbill Lodge - Very private and secluded wooden cottage with queen size bed for two adults sharing. En-suite bathroom with shower. Separate lounge and well-equipped kitchen. Sliding doors leading to braai area from the bedroom and beautiful private thatch Lapa. Fully fenced pet friendly unit by appointment. 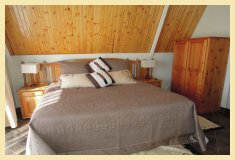 Cottage 1 Lourie's Rest - One Bedroom Wooden cottage with queen size bed for two adults sharing. Separate lounge, well fitted kitchen. Ensuite bathroom with Victorian ball and claw bath and separate walk in shower with glass roof. Small enclosed patio and sliding doors leading out onto the braai area from both bedroom and lounge. Sliding door leading from lounge to garden area with outdoor shower. Cottage 5 Lizzy Lodge - Wooden cottage with queen size bed for two adult sharing. Open plan Kitchen/Lounge with separate bathroom with corner jet spa bath. French doors leading from Lounge and bedroom onto private patio and braai area. Beautiful outdoor rock shower. Cottage 6 Nebulous Sky's - Wooden cottage with queen size bed for two adults sharing. Open Kitchen/Lounge with separate bathroom with corner spa bath. French doors leading from lounge and bedroom onto private patio and braai area. Beautiful outdoor rock shower. Cottage 7 Pula Moon - Very private and secluded wooden bedsitter with Queen size bed. French doors opening onto terrace from lounge. Open plan kitchen/lounge with fireplace Separate bathroom with corner jet spa bath and separate shower. DSTV, Patio carport and braai. Fully fenced pet friendly unit by appointment. Cottage 10 So HobGoblin - Very private and secluded Luxury brick cottage with queen size bed for two adults sharing. Ensuite bathroom with shower and outdoor shower. Separate lounge and kitchen. Sliding doors to patio/braai area. TV & DSTV. Fireplace. Very airy and open with magnificent views. Fully fenced pet friendly unit by appointment. 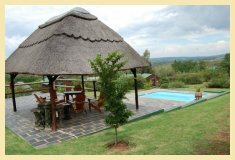 Cottage 2 Gecko Lodge - Large Wooden cottage with brick bedroom extension. King size bed and fireplace in the bedroom with ensuite walk-in shower. Lounge with open plan kitchen and separate bathroom with corner jet spa bath. Sliding doors leading from bedroom to braai area with beautiful private thatch Lapa. Cottage 3 Bud Budi - Large Luxury Cottage with separate bedroom of brick construction. King size bed and corner spa bath and shower in bedroom. Separate Wooden lounge Kitchenette and separate toilet. French doors opening onto Terrace overlooking pool from lounge and bedroom. Cottage 8 Mali - Large Luxury and very private wooden cottage with King size bed for two adults sharing. French doors leading onto Terrace from bedroom and lounge. En suite bathroom with corner spa bath. Open plan kitchen/ lounge. Beautiful outdoor rock shower. Fully fenced pet friendly unit by appointment. Cottage 9 Venus - Large luxury brick cottage with King size bed for two adults with en-suite bathroom with corner jet bath. French doors opening onto thatched veranda from the bedroom and the lounge. Open plan kitchen, lounge with open log fireplace. Beautiful outdoor rock shower. DAY BREAKS - Allows for the full use of the cottage for the day for 2 adults. Available Monday - Thursday from 10h00 - 17h00 (Public Holidays excluded). Booking recommended but not essential. Subject to availability. Payment in cash on arrival acceptable. To avoid any misunderstanding, a booking constitutes a binding contract. All guests confirming a booking are advised to take out insurance to cover the total cost of their accommodation in the event of a cancellation. Nullarbor Cottages will seek full payment for any cancelled accommodation that cannot be re-let, including premature curtailment of stay or non-arrival. 1. Reservations are confirmed on receipt of payment in full within 24 hours of making a reservation – 50% of which is deemed as deposit and provisional bookings will automatically be cancelled if the deposit is not received by the due date. 3. Cancellation >21 days before date of arrival - guest forfeits deposit portion paid - balance will be refunded. 4. Postponement of stay can only be considered if the unit can be re-booked to the value of the original booking. 5. Prices are subject to change without notice unless deposit has been paid. Bank Transfers, Visa, Master Card and Cash on arrival for balance of deposit. Cheques not accepted. Weekends: 2 Night for 2 adults sharing. Long weekends: Full number of nights of the weekend. 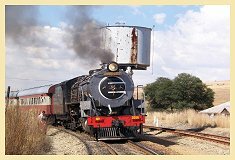 Units are serviced daily during mid-week. A cleaning charge of R30 applies on Saturdays and R50 on Sundays and Public Holidays. This includes washing dishes, making up beds and cleaning bathroom. Laundry facility is available - prices on request. Units are fully serviced at no charge after 4 night stay. Fireworks of any form and letting off firearms, pellet guns, paintball guns etc. Flying of Drones, motorised planes, helicopters. 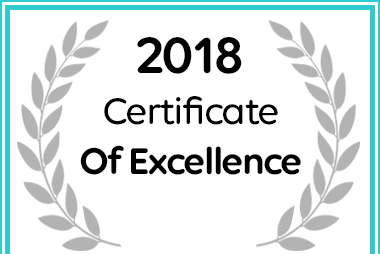 Nullarbor Cottages for Accommodation in Magaliesburg has received a 2018 Certificate of Excellence Award.